Ah, summer. Longer days, family vacations, warmer weather — who doesn’t love summer living? Summer can also be a time of increased power outages as heatwaves sometimes test the power grid system and more severe storms can wreak havoc. Not to worry, however. Here’s how to prepare for a power outage so your family is not in the dark—literally—when the power goes out. 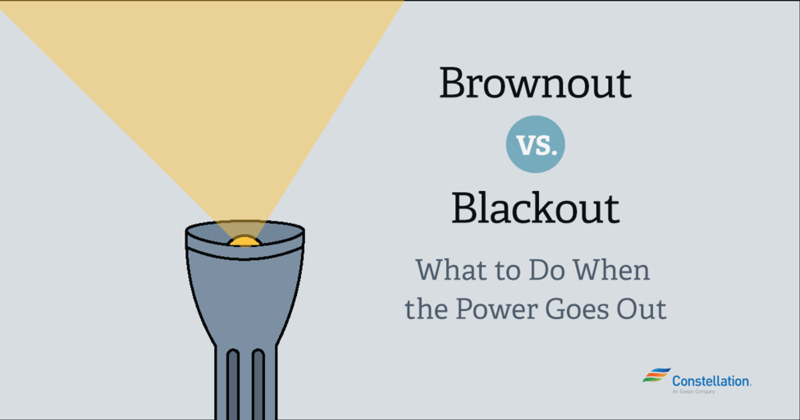 Before we get into what to do when power goes out and how to prepare for a power outage, it’s important to understand the difference between a brownout vs. blackout. While the overall electrical grid system is quite stable — 99.9 percent stable if you eliminate weather-related outages, according to the Electric Power Research Institute — the reality is that brownouts and rolling blackouts do occur, often in the summer, so understanding the difference between a brownout vs. blackout is important for your power outage preparedness. A brownout is a partial, temporary reduction in total system capacity, while a blackout is a complete interruption in power. Blackouts usually occur without warning and last for an undetermined period of time. They also often occur as a result of something unexpected, such as a severe storm or an unusual occurrence such as a car plowing into a power pole or an animal deciding a transformer would make a lovely home. Another difference between a brownout vs. blackout is that a brownout is used by an energy provider as an emergency strategy to prevent the system from a blackout. In a brownout, a utility might decrease overall system voltage by 10-25% for a short period of time to ease strain on the system, according to Energy Vortex. 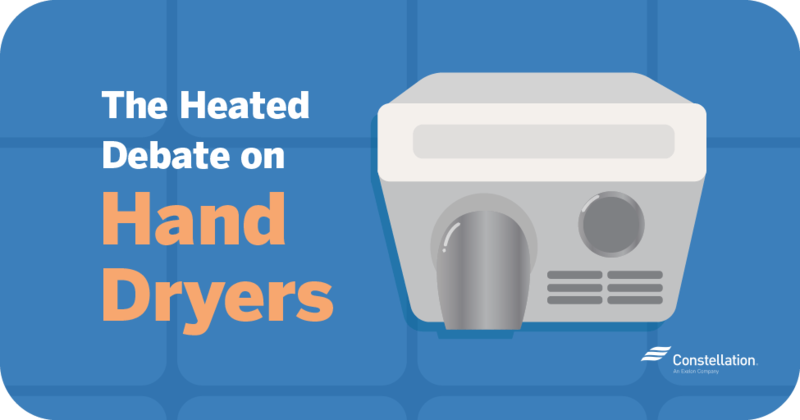 This kind of reduction often has little impact on heat and lighting but might affect electronic equipment that’s more sensitive to precise voltages. A third type of power outage is the rolling blackout. This typically occurs with some advance warning, normally lasts for a fixed length of time, and is deliberately produced by utility companies as a means of coping with peak power demands that can’t be met from the existing electricity supply. Rolling blackouts usually affect only a certain service area, and an energy provider will often spread these temporary blackouts among different service areas to ensure that no customer suffers more than another. This is different from a planned outage, which is generally announced by a utility company when service work is going to take place in a particular area. Do not call 9-1-1. That number should only be used if there is an emergency, such as a line is down or if someone is injured or in danger. If there are downed power lines in your neighborhood, do not go near them. Call your electricity company. Check to make sure that no children or animals go near the wires; they could still be electrified and therefore are lethal. If a power line falls on a car, stay inside the vehicle until first responders arrive to assist. Have a number of flashlights with fresh batteries in easy-to-locate locations in your home. Have a few upstairs and downstairs. Consider having at least one plug-in flashlight that remains charged until you need it. Place it in a dark hallway outlet, for instance. Consider flashlights with LED bulbs that have long battery life. Have spare batteries readily available as well as candles and matches for backup. Have a battery-operated radio (or one with a built-in, hand-crank generator) so you can listen to news and weather announcements. Don’t have one? A quick trip to your car can enable you to get updates. Be sure you are listening in your car in an area that is well-ventilated. Have the emergency number for your electric utility posted in a handy and obvious place, or stored in your phone contacts, in case you need to call. Have an ice chest available to store needed medications and special foods that must remain cold. Keep a couple of “blue ice” freezer packs in your freezer so they’re ready for use when you need them. If you use electricity for your water supply, such as through a well with an electric pump, have enough water on hand generally to last a couple of days. You should have at least one gallon of drinking water a day for each person in your house for cooking and drinking. Fill the bathtub with water if you know a potential power outage could occur. The water can be used in an emergency if properly sterilized. Have a household first aid kit in a prominent location. Having household goods and important documents stored in a handy area, preferably in a container that you can easily carry should you need to can also help you be better prepared for when power goes out. Don’t open the fridge or freezer any more than necessary. Letting whatever cold air is inside out only increases the likelihood the food will spoil more quickly. Additional food safety tips can be found at the U.S. Department of Agriculture. Leave one light on so that you’ll know when power comes back on, but won’t overtax your system by having everything come on at once. Turn off electrical equipment you were using when the power went out. If you use a generator, connect the equipment you want to power directly to the outlets on the generator. Do not connect the generator to a home’s electrical system. If it’s hot outside, move to the lowest level of your home to try to stay cool. Hot air rises; cool air falls. Fewer things are more of a surprise or more sobering than an unexpected electrical outage. The first night I head for bed, then deal with the possibility of an extended outage the next day. I take the easy way out. Very informative blog. Power outages can be a nuisance, for sure. But, I am glad to hear that this was helpful to you in finding ways to deal with the possibility of an extended outage. Thank you for taking the time to comment! Thanks for the updates with explanation. 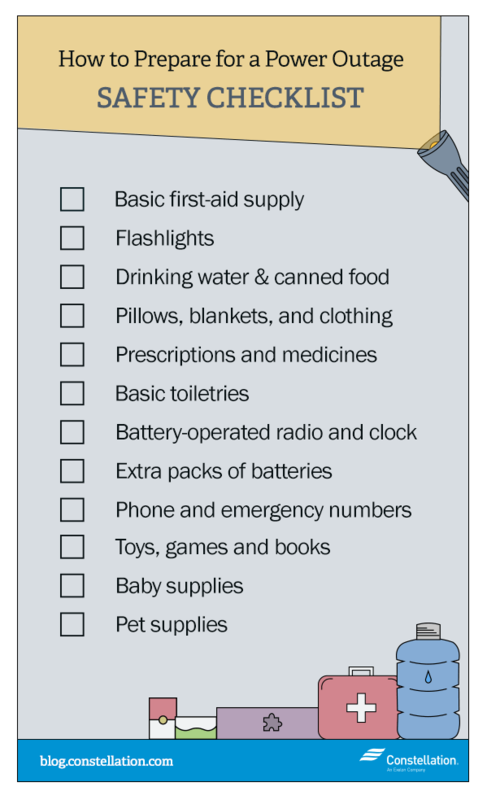 We are well prepared…but specific reminders for amounts of water per person and battery operated radio/ crank is a good reminder, as they are seldom used. We have such which remains plugged in. 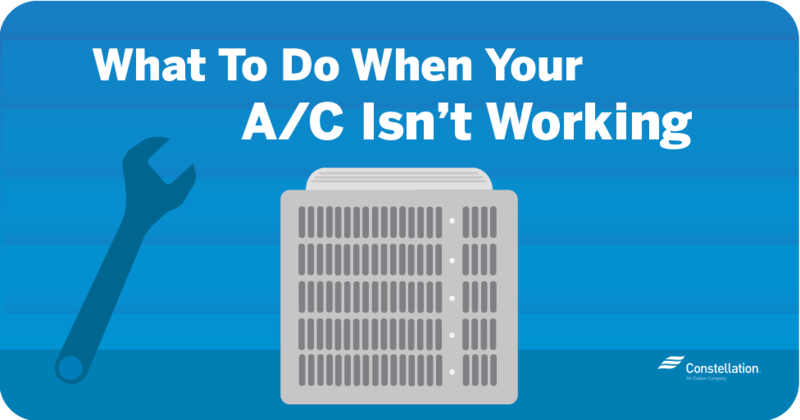 Although an expensive purchase, all functions have rarely worked in outages. LED lights is an excellent reminder. Having emergency #’s posted on cell phones for power issues is a good reminder. Does Constellation have specific emergency #”s other than customer service as posted on billing statements? If so, could you please post them in response email? Are customers notified well in advance for potential planned brownouts? Are specific advance notifications available if a family member is disabled and/or recovering from multiple surgeries or ongoing treatment procedures related to serious illness? (multiple cancers for example)? We are respectfully very conservative with all energy sources, but even the scientifically educated and technology minded adults can be caught up short when the electronic technology and “Google It” frame of existence can become an unacknowledged dependency. You raise very valid and worthwhile concerns, and we thank you for taking the time to comment. Emergency numbers would vary, depending on who your specific utility provider is, we suggest We suggest looking into what utility you use through Constellation, according to your regional area, and reference their website for emergency numbers. 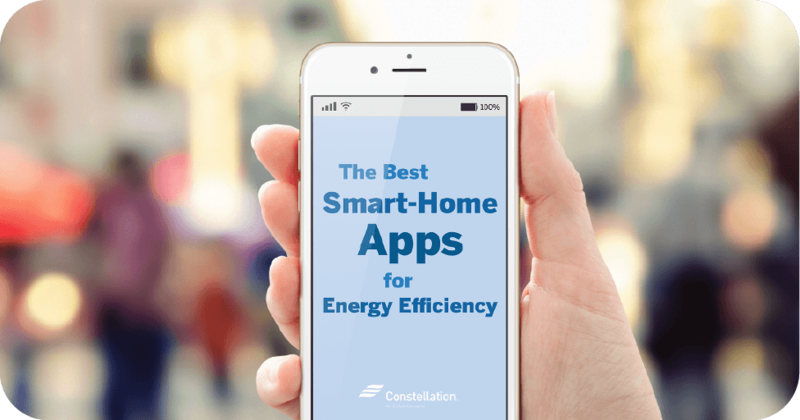 Constellation does send email reminders to customers prior to a scheduled brownout. We have also updated the original post to reflect some additional tips for handling brownouts if you have a medical condition dependent on electricity. If you have additional questions, please feel free to contact our customer service team directly at 877.997.9995 and we will do everything we can to fully address any concerns. I want to know if there is any kind of emergency set up for power outages are available. my daughter is own oxygen, and the last power outage we had lasted 9 hours. after about 30minutes she couldn’t breathe. I had to call my other daughter to come and take her and the oxygen tank to her house. this was a stressful situation. Is there any kind of help in an emergency like this. sounds like you’re setting us up for a long summer. instead of all these instructions, why don’t you figure out how to prevent all these occurrences. another one of W’s “be afraid, be very afraid” situations, I guess. Hi S Haney, Thank you for sharing your concern. As an energy supplier we get energy directly from the utilities provider. This means the amount of energy we can provide is limited by what’s available from the grid. The absolute best way to prevent possible outages is to encourage everyone to conserve energy so that the grid isn’t overloaded. Is a brownout similar to losing a phase? Usually, a phase loss is caused by a blown fuse, mechanical failure, broken wire, thermal overload or a worn contact. These kinds of occurrences could cause unsafe conditions or a mechanical failure. A brownout is a controlled partial outage that would not cause unsafe conditions and should not affect the functioning of any mechanical systems in your home or business. Thank you very much for the information and tips. You’re welcome! We’re glad they were helpful. For more, check out our newest quiz to test your energy know-how here! What about customers that have izygen dependent on electricity you plan on taking down. Di you realize the stress this’s causes? Do you have any recommendations who need electric power for medical reasons. I use an Oxygen concentrator 24/7. I have 3 canisters as well, but that would only take me 24 hours.